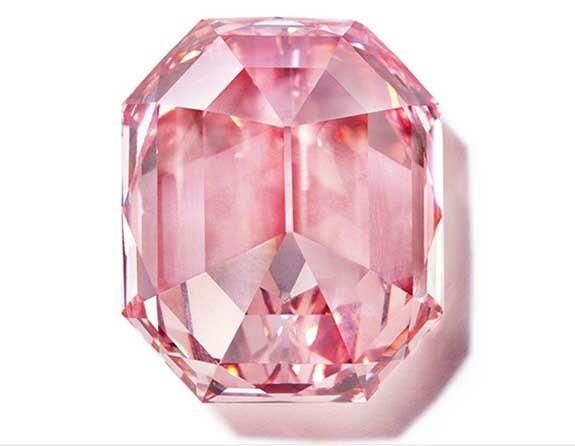 In terms of its saturation and intensity, the color of “The Pink Legacy” is “as good as it gets in a colored diamond,” according to the Christie’s exec who will be overseeing its sale in Geneva on November 13. The auction house is expecting the 18.96-carat, fancy vivid pink diamond to fetch up to $50 million, a price that would establish a new per-carat world record for a pink diamond. “Its exceptional provenance will no doubt propel it into a class of its own as one of the world’s greatest diamonds,” Kadakia said in a statement. 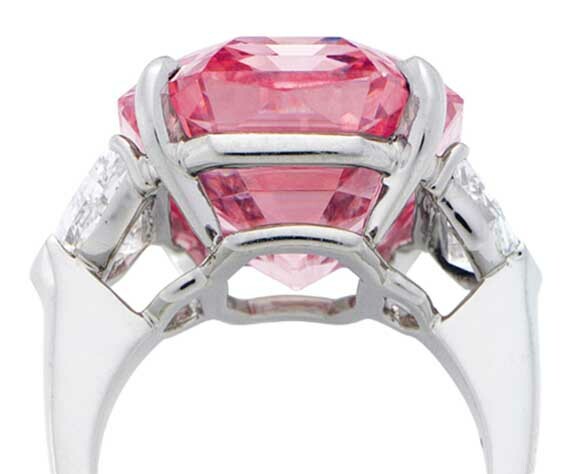 Kadakia explained that most pink diamonds exhibit a secondary color, such as purple, orange, brown or grey. The Pink Legacy is unique because it has an even color distribution, balanced saturation and straight pink hue. Only one in 100,000 diamonds possess a color deep enough to qualify as “fancy vivid,” he noted. In November 2017, Christie’s Hong Kong sold “The Pink Promise,” an oval-shaped fancy vivid pink diamond of just under 15 carats, for $32.4 million. That figure translated to $2,175,519 per carat, which remains the world auction record price per carat for any pink diamond. In April 2017, the 59.60-carat “Pink Star” set a world record for any kind of diamond ever offered at auction when it fetched $71 million at Sotheby’s Hong Kong.